Welcome to the webpage of department of Entomology within the Faculty of Crop and Food Sciences. 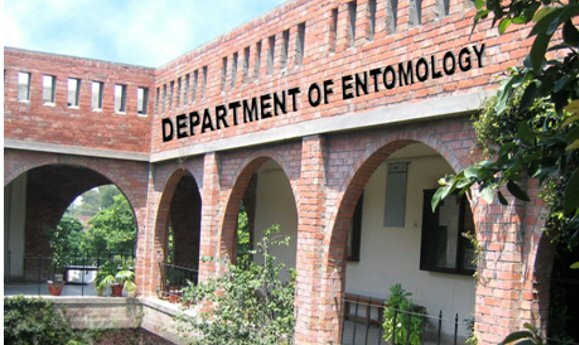 Entomology department was established in 1980 in Barani Agricultural College Rawalpindi (which attained the status of University in 1994). The main objective was to solve the insect pest problems and produce trained manpower to boost up agricultural production in rainfed regions of Pakistan. Primarily, the department was teaching Entomology courses to undergraduate classes. It started functioning as major discipline in 1986. The M.Sc. (Hons.) in Entomology degree program was started in 1997 and PhD in Entomology was initiated in 1998. The department has produced many graduates and PhD scholars, who are rendering their services in various agricultural research institutes inside and outside Pakistan. The department expertise mainly emphasis on a broad range of interests from fundamental to applied research. It comprises of four principal research groups (Insect Systematics, Integrated Pest Management & Insect Bio-Control, Insect Toxicology, Apiculture and Stored Product Entomology). The research activities are coordinated within the groups and also with other research institutes. The research projects in the department are well-funded from numerous sources (Higher Education Commission, Pakistan Science foundation and many more). Departmental research facilities include the Insect Museum, controlled environment rearing chambers and an area for apiculture. Other accessible facilities include HPLC, PCR, western blotting and field plots. Recently, the department has been upgraded to good standard through HEC departmental strengthening project. The department has dynamic and highly motivated faculty members (Professor, Associate Professor, Assistant Professors and Lecturers), specialized in various disciplines of Entomology from inland and foreign universities. Our faculty is dedicated to excellence in research, teaching and training. Students are warmly welcome to build their future career in such a dynamic, research oriented department which is fully equipped with modern laboratories, hardworking teaching and supportive staff.